Troubled generics giant Teva is continuing the heavy pruning of its business and has cut a novel migraine drug from its pipeline. Sosei and its UK-based Heptares division have lost a partner because of the cull, with Teva returning rights to lead candidate HTL0022562 and other novel small molecule calcitonin gene-related peptide (CGRP) antagonists, all for the treatment of migraine and other severe headaches. 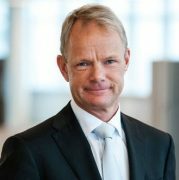 Teva appointed a new CEO in September last year, ex-Lundbeck chief Kare Schultz, and he has set about stabilising the company’s finances and sprawling scale, announcing massive cuts in December. Schultz was given a mandate to tackle the company’s alarming debts, which were built up in the $41 billion acquisition of Actavis two years ago. The company must pay off $5 billion in principal payments in 2018, and a further $19 billion over the next three years. In order to offset these debts, the company is to cut a huge number of employees, 14,000 jobs (25% of staff) and $3 billion in annual costs. The firm recently announced a refinancing deal to for its debts, but has now turned its attention to its pipeline, and the Sosei cut will undoubtedly be one of many being announced in 2018. For Teva, the logic of cutting the drugs is clear, as it already has a promising migraine drug awaiting FDA approval. Fremanezumab is part of a new class of drugs under pharma companies targetting the CGRP ligand. Analysts at EvaluatePharma rate fremanezumab highest among the competitors, which includes drugs from Novartis and Amgen, forecasting sales in excess of $1 billion by 2022. The FDA expects to give its ruling on Teva’s drug by June this year, and an approval will give the company some good news amid the hacking back of costs and employee numbers. 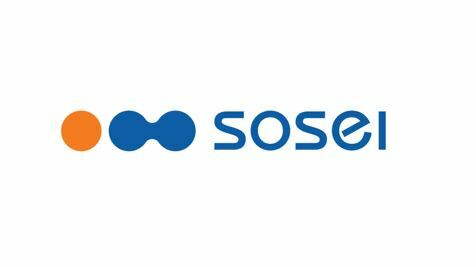 The decision looks like a blow for Sosei, for whom the collaboration was one of its biggest projects – but the company is arguing that it represents a welcome opportunity. Teva’s decision to abandon the partnership comes just ahead of the planned first dosing in phase 1, which had been scheduled for late 2018. Sosei says it will now undertake a detailed review of the programmes and update the market later this year on the new expected timing for HTL0022562’s entry into phase 1 clinical trials following a formal handover from Teva. Sosei and Heptares are making bullish noises about developing the drug themselves, and say they have sufficient cash to fund clinical trial programmes. “Heptares’ technologies and know-how provided unique structural insights concerning the interaction between CGRP and its receptor, enabling the design of a portfolio of differentiated, potent and selective small molecule CGRP antagonist candidates. 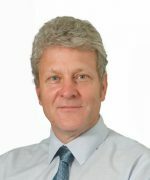 The joint project activities of both companies have led to the selection and progression through preclinical development of HTL0022562 as the preferred candidate,” commented Dr Malcolm Weir, Chief R&D Officer of Sosei. Teva paid Sosei a $5m milestone on the lead candidate last year, helping the company fund the research on its own. 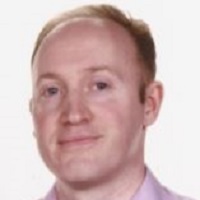 “Sosei is extremely pleased to regain worldwide rights for the development and commercialisation of HTL0022562 and the CGRP programme,” added Peter Bains, CEO of Sosei. Please note this story was updated to reflect additional comment from Sosei on the announcement.